Winner of the 2014 Nautilus Award represents “Better Books for a Better World”—the Silver Award in the category of Parenting /Family. 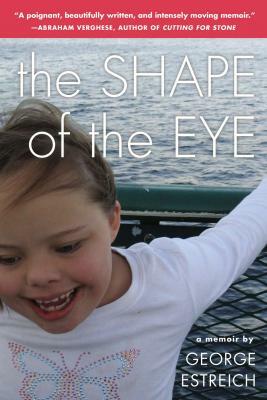 When Laura Estreich is born, her appearance presents a puzzle: does the shape of her eyes indicate Down syndrome, or the fact that she has a Japanese grandmother? In this powerful memoir, George Estreich, a poet and stay-at-home dad, tells his daughter's story, reflecting on her inheritance --- from the literal legacy of her genes, to the family history that precedes her, to the Victorian physician John Langdon Down's diagnostic error of "Mongolian idiocy." Against this backdrop, Laura takes her place in the Estreich family as a unique child, quirky and real, loved for everything ordinary and extraordinary about her. George Estreich's collection of poems, Textbook Illustrations of the Human Body, won the Gorsline Prize and was published in 2004. A woodworker, fly-fisherman, and guitar player, he has taught composition, creative writing, and literature at several universities. He lives in Cornvallis, Oregon, with his wife Theresa, a research scientist, and his two daughters, Ellie and Laura. “At every turn [Estreich] finds metaphor where others might see only heartbreak or uncertainty…. He transcends his particular situation to find story, to find meaning and wisdom. Memoir, a genre sometimes maligned as self-indulgent and narcissistic, finds in Estreich a practitioner who brings deserved dignity to the form.” —Madeleine Blais, author of In These Girls, Hope Is a Muscle, from the judge’s citation for the 2012 Oregon Book Award in Creative Nonfiction.